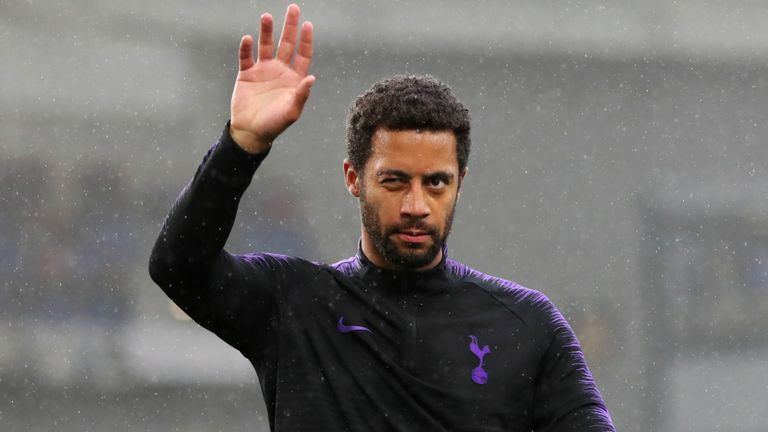 Tottenham Hotspur have announced that they have reached an agreement with Chinese top flight club GuangzhouR&F for the transfer of Belgian international, Mousa Dembele. Spurs made the announcement on their official website on Thursday, stating the move is subject to international clearance. “We have reached agreement with Chinese Super League side GuangzhouR&F for the transfer of Mousa Dembele, subject to international clearance. “The Belgium midfielder joined us from Fulham in August, 2012, and scored on his debut three days later against Norwich City. “He established himself as a key player in our starting XI and went on to make 250 appearances in total, scoring 10 goals. “Mousa has been capped 82 times for Belgium and was part of the Red Devils’ squad that finished third at the 2018 World Cup finals in Russia. “We wish Mousa all the best for the future,” the statement read. The 31-year-old was also in the Belgian squad that got to the semi-final of the 2008 Beijing Olympics, where they lost 4-1 to Nigeria.